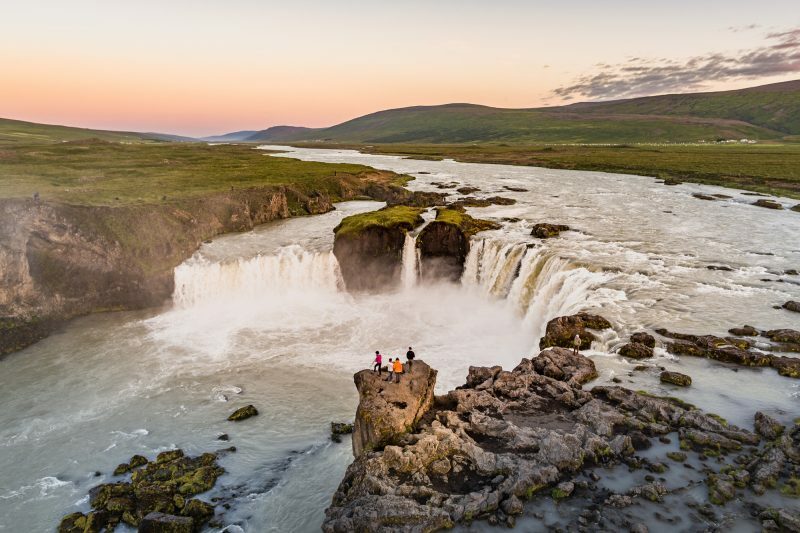 The North East of Iceland remains one of Iceland’s most spectacular and lesser visited regions even as the South grows in popularity. 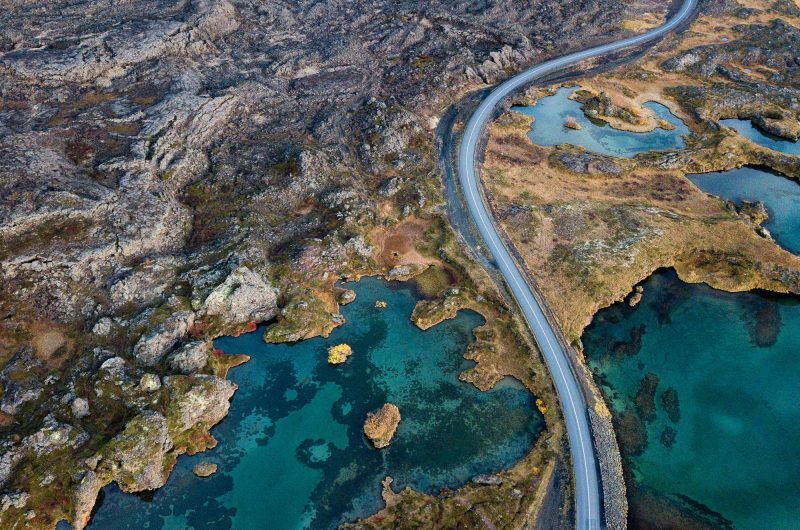 Whether this is your first Iceland trip or your 100th the North and East have something unique to offer. 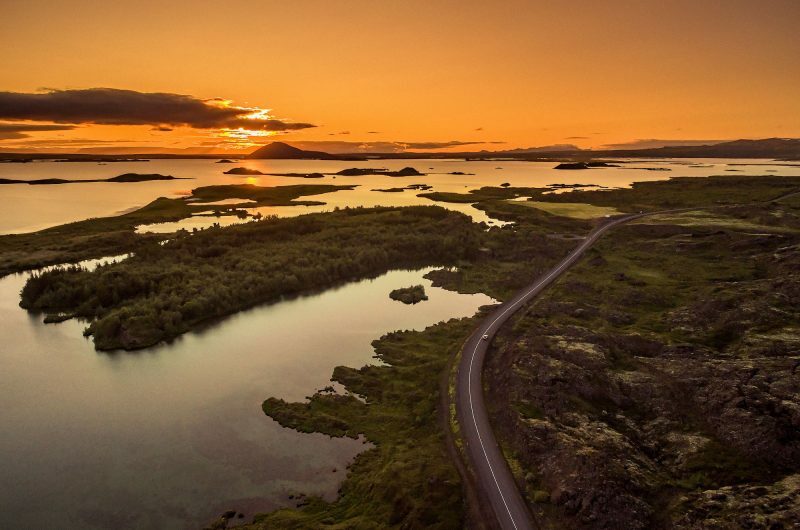 Witness a showcase of volcanic and geothermal landforms surrounding the enormous Lake Myvatn. 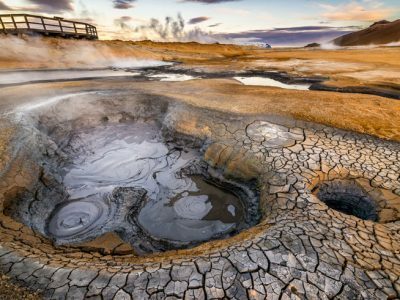 See, hear and smell the bubbling mud pools at Namaskard; hike amongst eerie lava formations at Dimmuborgir and keep watch for the hidden people! 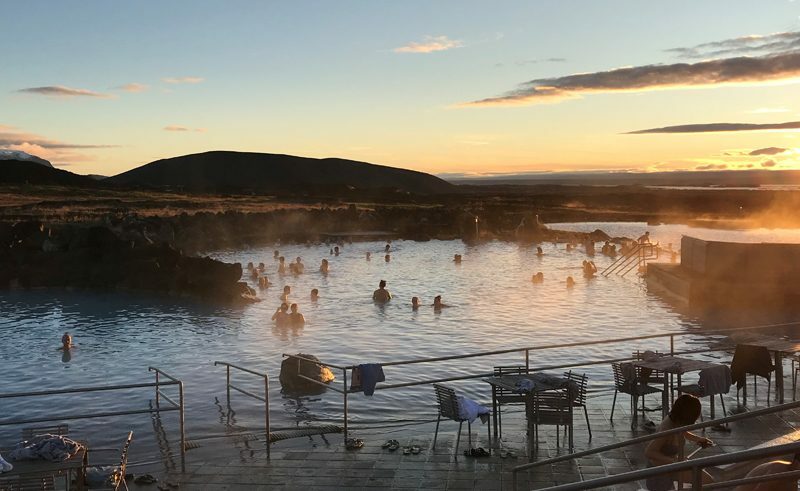 Take a dip in the soothing Nature Baths (the Blue Lagoon of the North) and visit Akureyri, a tiny north Icelandic city voted Lonely Planet’s best place to visit in Europe for 2015. 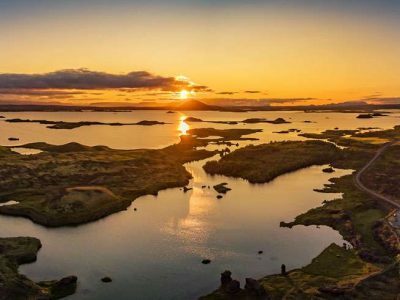 Visit Lake Myvatn, full of interesting flora, fauna and rich birdlife. An geothermal wonder of hot springs, fumaroles and mud pools. 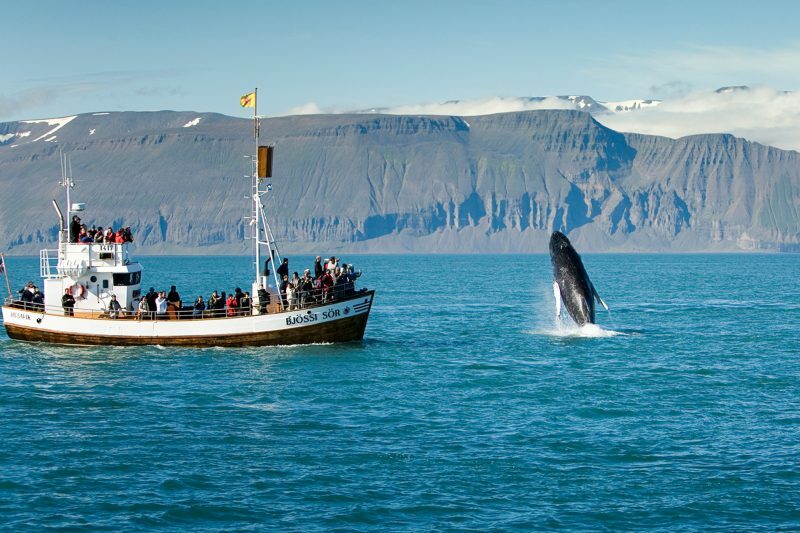 Husavik is Iceland's whale watching capital. Considered one of the most spectacular waterfalls in Iceland at 12m high and 30m wide. 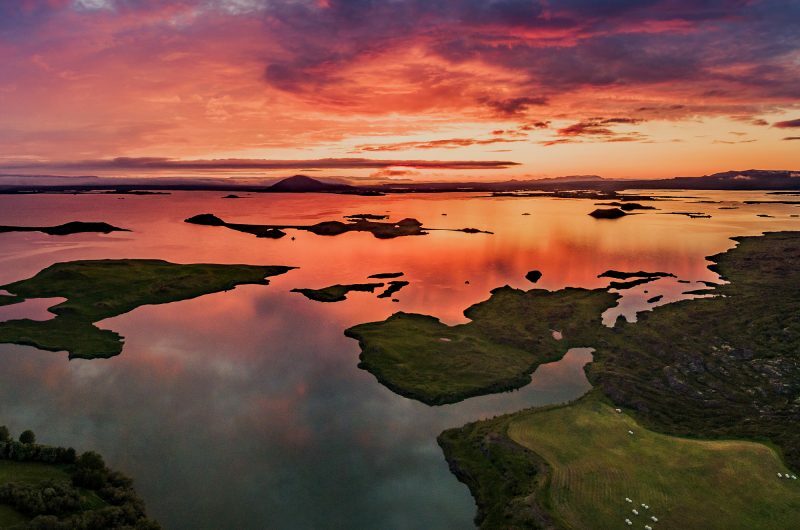 The volcanic region of Lake Myvatn is one of Iceland’s most remarkable places, both for its diversity of geographical features and for its natural beauty. Clustered on the south shore are pitted moon-like pseudocraters, formed when lava flowed over marshy ground, causing steam explosions. 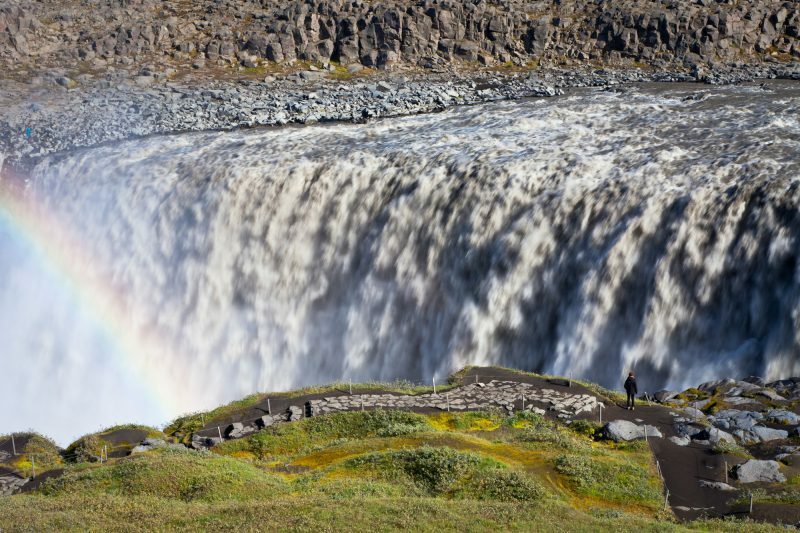 The stunning Dettifoss is Europe’s most powerful waterfall with an average waterflow of 193 m³/s, thundering down to the Jokulsargljufur canyon. The waterfall is eroding at an astonishing rate cutting a dramatic 20km long gorge into the landscape. See, hear and smell the bubbling mud pools at Namaskard, an expanse of hot springs, fumaroles and mud pits which seem to boil with relentless energy. 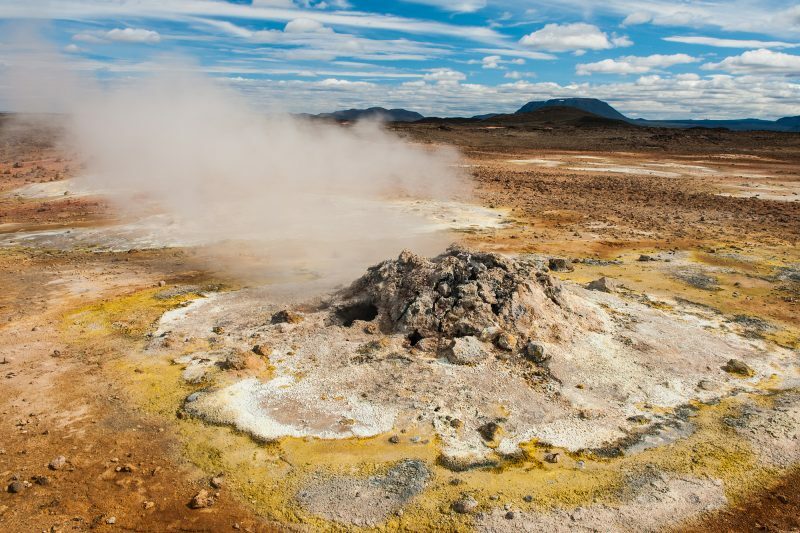 The region owes its geothermal energy to the Krafla volcano system which is also responsible for the unusually beautiful colourful minerals that layer the area. The water is a consistent temperature of 38-40 degrees and is a great place to relax and unwind after a day of exploring. It is natural and unique, allowing for a true Icelandic feeling. 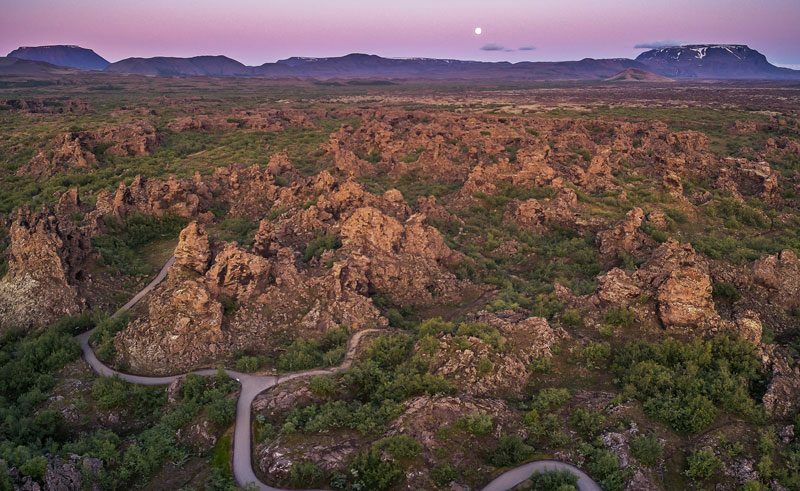 An unusually shaped lava field composed of various volcanic caves and rock formations. Twisted towers of rock loom eerily from the earth’s surface whilst giant pillars, chimneys and tubes provide a mesmerising backdrop as you hike and scramble across the field. A quaint northern coastal town regularly referred to as the whale watching capital of Europe. The harbour side Whale Museum has an interesting collection of artefacts and skeletons and is both educational and informative. 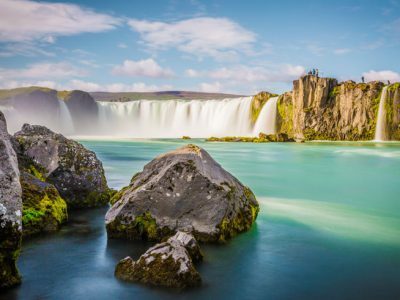 The ‘waterfall of the gods’ can be found near to Lake Myvatn and is said to be one of the most beautiful in Iceland. At 30m wide and with a 12m drop, it is certainly very photogenic. The Tjornes peninsula is one of Iceland’s most remarkable geological locations, known for its fossil layers formed at the end of the Tertiary period. The locally found fossils include petrified wood, fossilised crystalline, whale and shark bones and lignite, which make it possible to trace changes in climate, vegetation and marine life from the beginning of the Ice Age. 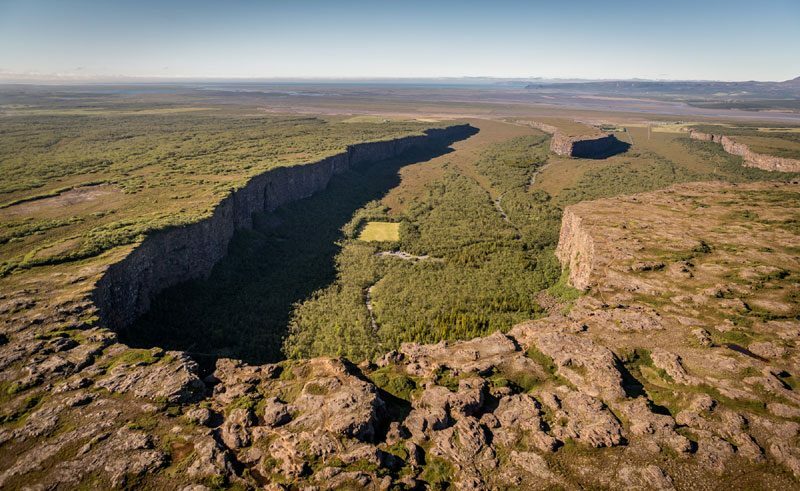 Near to Tjornes you will find Asbyrgi, a beautiful canyon made up of honeycombed basalt rocks. Hike at the bottom of the canyon and marvel at the sheer scale of the rock formation. 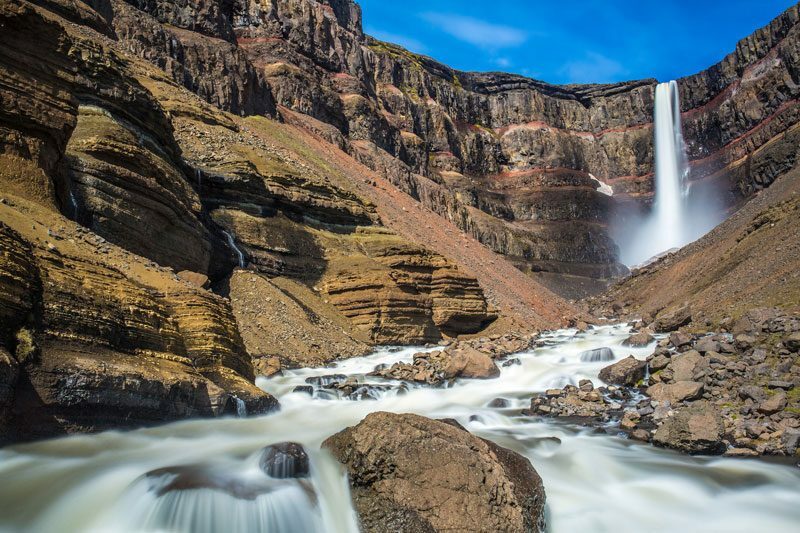 One of the star attractions of the East Fjords, Hengifoss is Iceland’s third tallest waterfall towering at 128m. The pattern of alternating red and brown/black strata has been formed as clay has become trapped between successive layers of ash and basalt, turning red as the iron content in the clay is oxidised by the volcanic material. 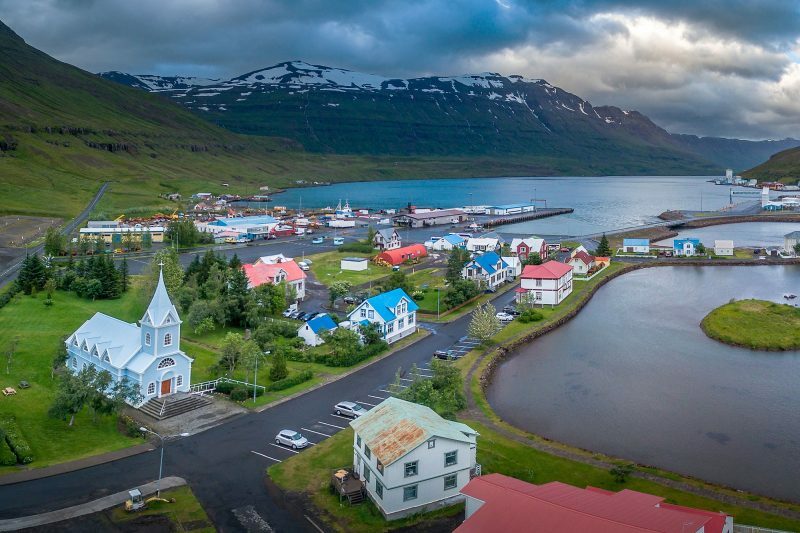 A beautiful hamlet with a population of just 700, Seydisfjordur is beyond picturesque with its multi-coloured wooden houses, surrounding snowcapped mountains and cascading waterfalls. 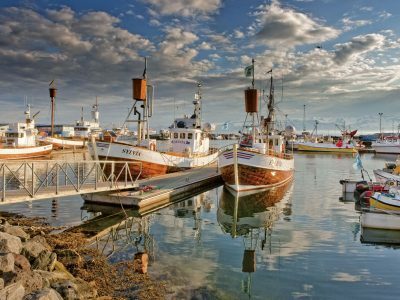 It is also a historically important destination to Iceland and its harbour has been a thriving trading centre ever since the early 19th century.